This is a multi coil pickup built inside Stingray pickup cover. The tone is strong in the mids still retaining clarity. Great pickup for producing a "middish nasal" sound. The pickup uses Ceramic magnets. Four or two conductor shielded wire. 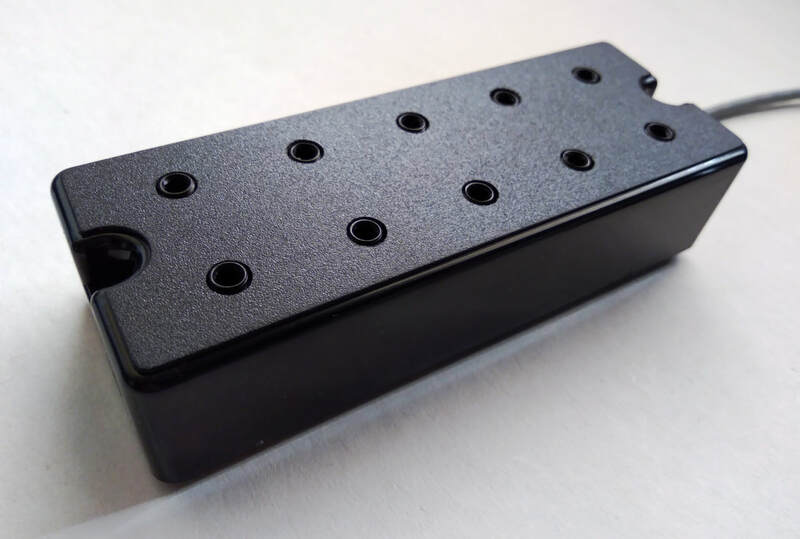 Neck pickup available. Approx. 10% less winding for better pickup balance. Note: Pickup height is 25 mm. 1: The coils are wired four in a row series. Two rows can be wired in series or in parallel. "Old way"
On-on mini toggle switch available. 2: Each pair of coils per string in series, and then all the pairs in parallel. "New way". 3: Custom wiring available: Gives same output as "new way" + same output as "old way" in parallel wiring. On-on mini toggle switch available. 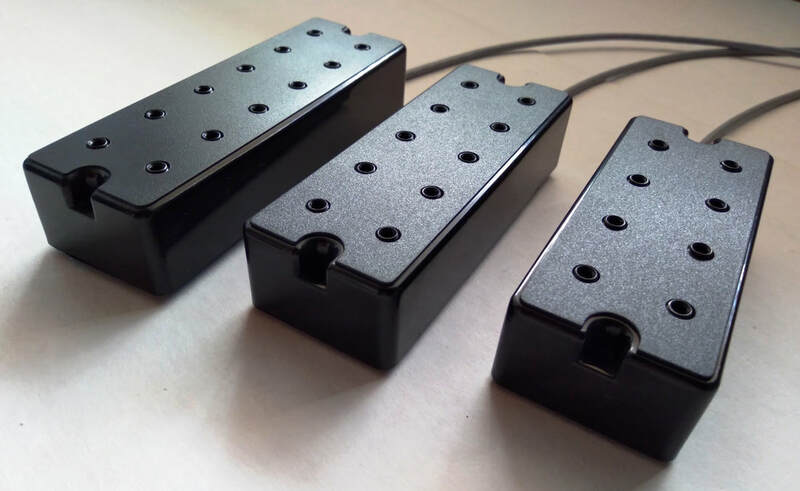 Note: Pickups with narrower spacing use smaller coils. The output is lower too. great pickup for producing a "middish nasal" sound. ​Available also for multi scale basses. Can be made according to customer requirements. Wiring methods same as with Multi Coil / MM. 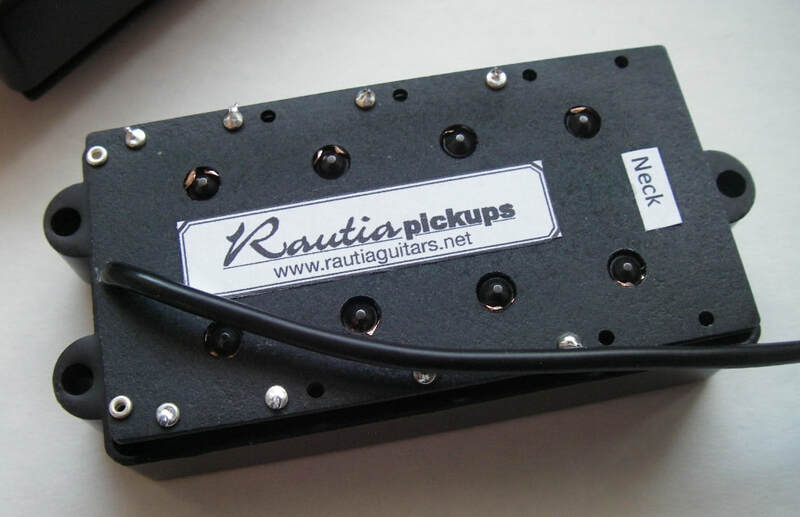 The pickup uses Ceramic magnet. Multi coil pickup built inside Thunderbird pickup cover. The tone is very similar to Multi coil/MM.